Red eye medusa (Polyorchis penicillatus) with its feeding tentacles extended to catch planktonic prey. 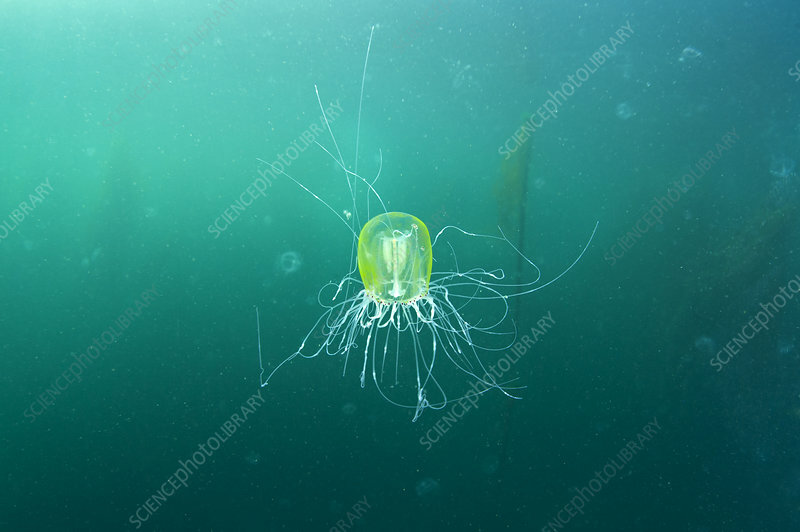 Note that the bell of the jelly has hitchhiking amphipods (Hyperia medusarum). Browning Pass, Vancouver Island, British Columbia, Canada. North East Pacific Ocean.